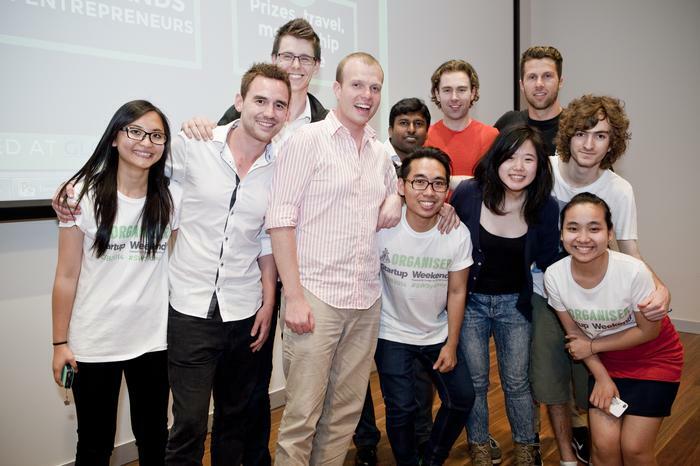 This year's Startup Weekend, held November 22-23, attracted its largest crowd of Sydney entrepreneurs Sydney yet, according to organiser Thai Huynh. The event’s increasing popularity reflects the exploding startup scene in Australia, Huynh told Computerworld Australia. He pointed to rapid increase in the past two to three years of the number of incubators, accelerators, co-working spaces and startup events. Startup Weekend is held in cities around the world, with the first occurring in Colorado in the US in 2007 and the first Sydney event in 2012. Besides Sydney, Startup Weekend takes place in towns and cities throughout Australia including Melbourne, Perth, Cairns and Brisbane. The event brings together coders, visual designers and businesspeople, who form teams and build a business in 64 hours. On the last night, teams pitch their startups to a panel of judges who can choose to invest or provide mentorship after the event. Judges at the Sydney event included Tank Stream Ventures fund manager Rui Rodrigues, ATP Innovations CEO Hamish Hawthorne, BlueChilli CEO Sebastien Eckersley-Maslin and StartupAus board member Peter Bradd. Sound Ninja, a music startup, won at Sydney Startup Weekend in November 2014. Huynh developed the idea for his own startup at a Startup Weekend in 2013. He said he had come to the event to network and wasn’t expecting to pitch. “Before I knew it, I’d pitched an idea called Kapcher,” he said. After the event, one of the judges invited him to a working space and provided mentorship and other resources to build the company. Huynh now holds the title of CEO at Kapcher, which plans to launch a product in January to connect businesses with photographers and graphic artists. Last weekend’s Startup Weekend attracted double the number of people compared to a year earlier, said Huynh. The crowd was also more diverse, with a mix of experienced startup scenesters and newcomers who didn’t “even know what startup means,” he said. About 126 people registered for the event, but the venue was only able to accommodate 85 of them, he said. On the final day, 13 teams pitched their ideas. In the past, the event was held twice a year, but going forward it will occur about four times a year in each location, he said. Huynh said although he’s seen rapid growth in Australia’s startup ecosystem, he noted that funding remains a challenge with many investors here still too averse to risk. Also, there is still not enough government support for early-stage startups trying to get on their feet, he said.